A reliable SMS modem for Ozeki SMS software. The Sierra SMS modem is a very reliable device when it comes to SMS messaging. 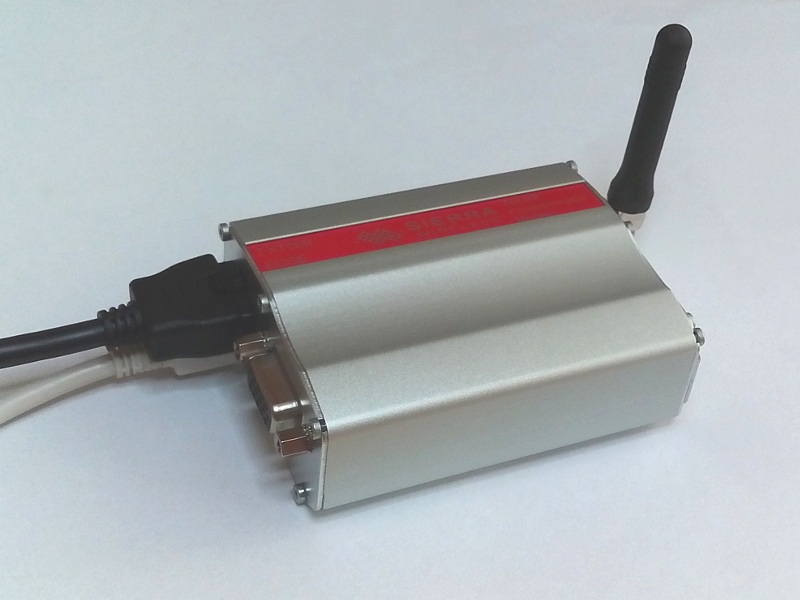 It can send and receive SMS messages at a fast rate. It can also handle delivery reports. We recommend it for all our SMS enabled products, such as Ozeki NG SMS Gateway, Ozeki Dialer, Ozeki Message Server 6, Ozeki Phone System XE, Ozeki SMS Wall. It can also be used to notify system administrators about server failures in SMS if you use Ozeki Cluster. Check out the following video to see how you can set up this modem for SMS messaging. It will show you how to connect the modem to your PC with a data cable and how to install the driver of the modem. 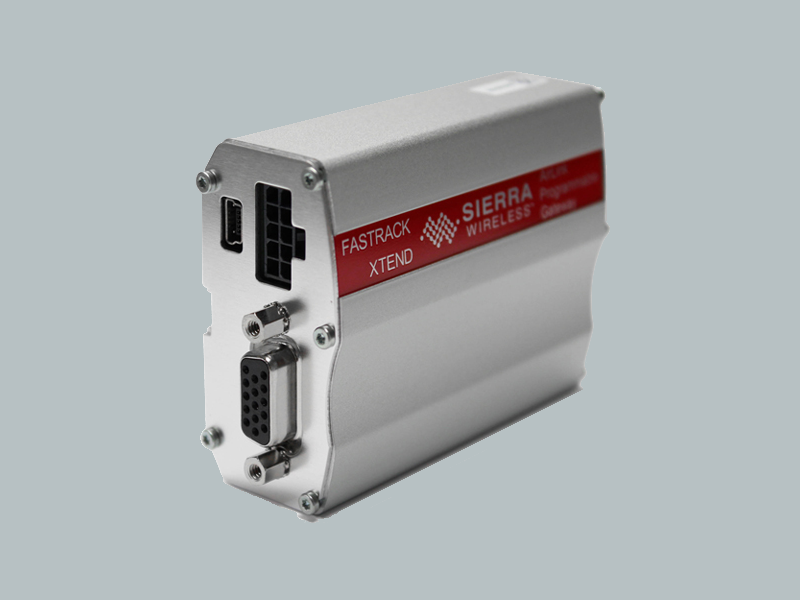 The offical name of the Sierra SMS modem is "Sierra Wireless AirLink Fastrack Xtend GPRS Modem". This modem is capable of sending and recieving SMS messages through the traditional GSM signaling channel or through GPRS at a fast rate. It can also handle USSD, and SMS delivery reports. You can connect this modem with an USB or an RS232 cable to your computer. On the computer you can run one of our software to send SMS or to show the content of a recieved SMS. This modem is operated via AT commands. It is programmable, which means AT command customization is available. The modem can also provide complete IP connectivity. 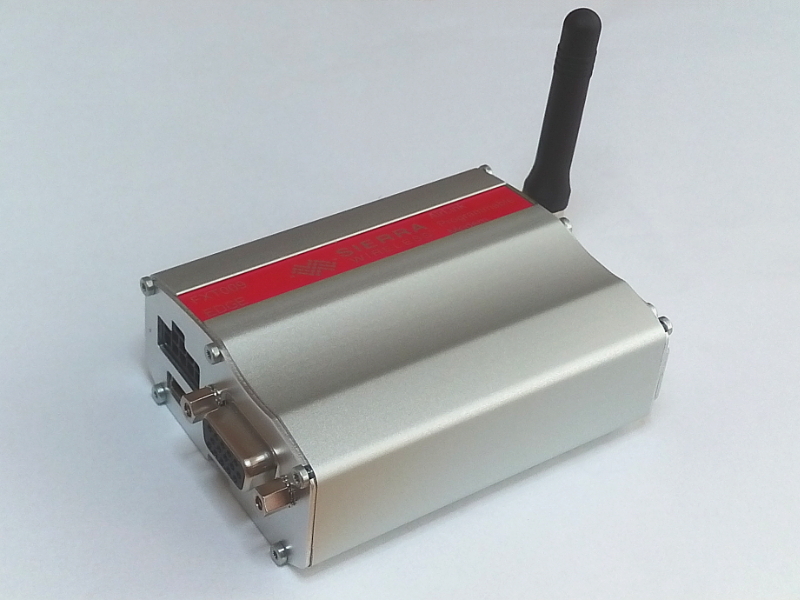 It features an open-standard expansion card interface, enabling you to add additional I/O connectivity or features like GPS, WiFi, Bluetooth, Zigbee and more. 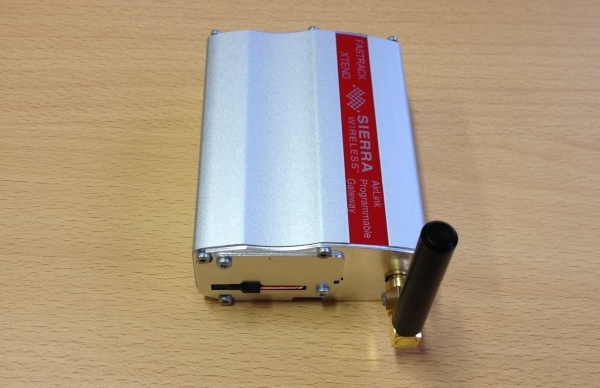 The Sierra Wireless SMS modem can be used for sending and receiving SMS messages. It can be connected to the USB port of your computer, and it can be setup in Ozeki products, such as Ozeki Dialer or Ozeki SMS Gateway to connect to the mobile network. It requires a SIM card, that needs to be inserted into the GSM modem. A standard SIM card used in any mobile phone can be used. For sending SMS messages you need to connect the Sierra Wireless Xtend modem to a computer which has one of our communication software installed. Then the SIM card needs to be inserted into the GSM modem. SIM card: it provides the telephone number. SIM cards are tied to a particular service provider and can only be used with a service plan from that provider. You can buy a SIM card at any shop of the service provider. You can find these shops at any shopping mall. Just ask the shop assistant for a "SIM only" subscription. Sierra Wireless Xtend modem: it is a programmable modem that accepts the SIM card. You can connect it to the PC with a data cable for sending/receiving SMS messages. 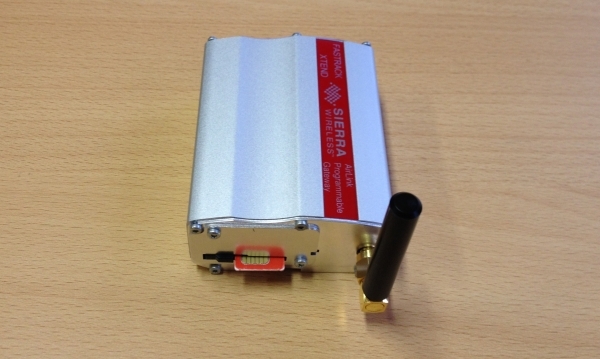 You can order Sierra Wireless Xtend modem directly from Ozeki with delivery time of 2-3 weeks. 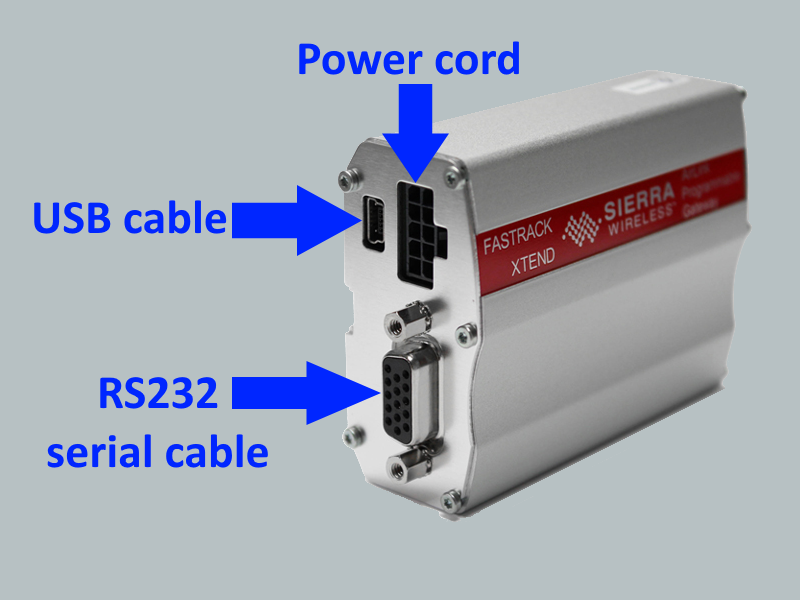 In order to connect the Sierra Wireless Xtend modem to the PC, you can use an USB cable and you can install a standard modem driver to allow communication between the computer and the GSM modem. Please follow the steps below to install the Sierra Wireless Xtend modem (Video tutorial). In Figure 1 you can see the Sierra Wireless Xtend modem with its accessories. The two left cables are the DC Power Adapters, the next is the USB cable that ensures connection to the computer, the next device is the Sierra Wireless Xtend modem and finally the SIM card is in the right side of the picture. 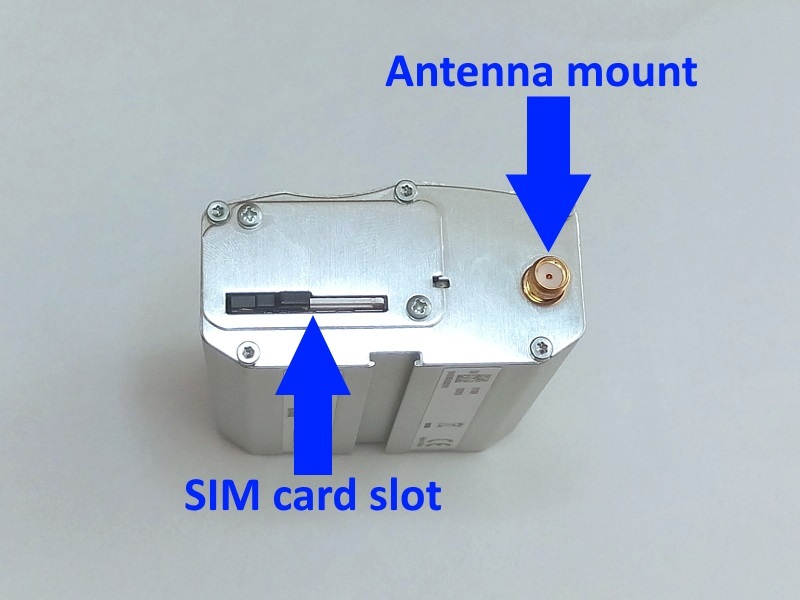 The Figure 2 shows the slot where the SIM card has to be plugged. After you have inserted the SIM card into the slot you need to push it while a click is not listened (Figure 3). The Figure 4 shows the cables that you need to connect to each other. These cables can be shown in the left side of the Figure 1. After you have put the cables to each other, you need to connect the other side of the cable to the Sierra Wireless Xtend modem (Figure 5). 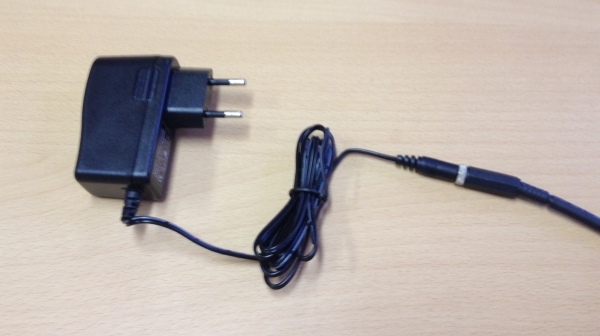 If you have connected the modem to the plug, connect it to the computer with an USB cable. The Figure 6 shows the slots to which you need to connect the cable. After connecting the cable to the Sierra Wireless Xtend modem, you need to connect the same cable to the USB port of the computer (Figure 7). The next step is to download and install the proper driver of the Sierra Wireless Xtend modem. 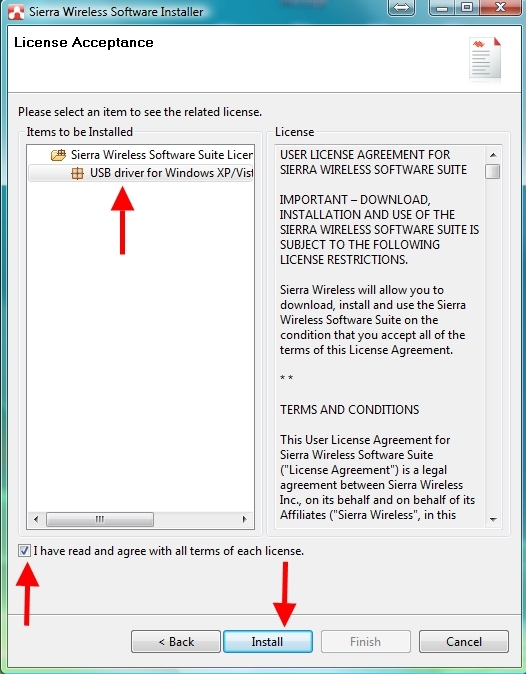 You can download it from the following link: Sierra Wireless Xtend modem driver. If you have downloaded it, you need to open it and follow the instruction. If the installer offers you a newer version of the driver, accept and install it. During the installation you need to select items to be installed. First you need to select it, then agree the terms and click on the Install button (Figure 8). At the end of the installation please restart your computer. 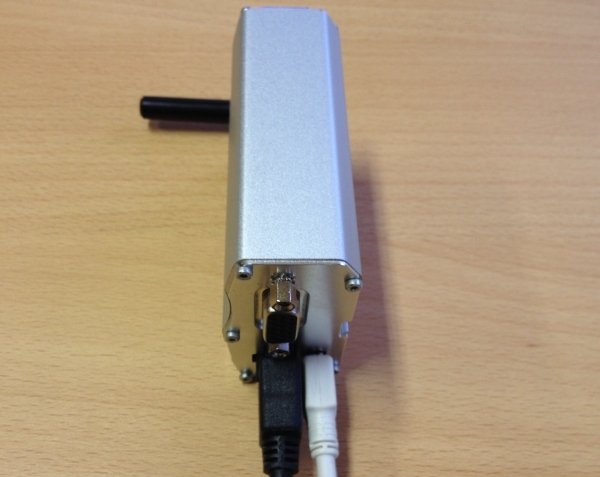 If you would like to use the Sierra SMS modem for text messaging, it needs to be connected to the Ozeki NG SMS Gateway software through a USB or RS232 data cable. 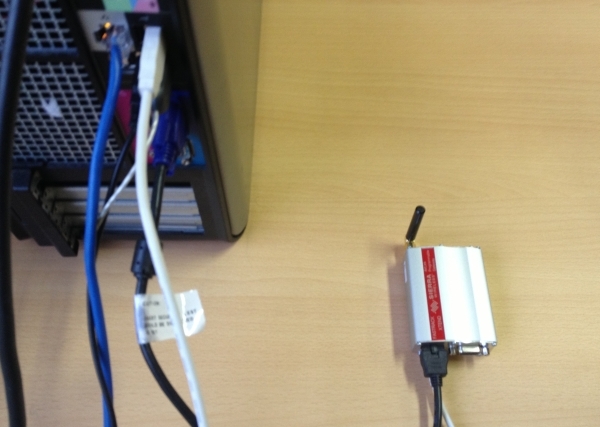 In this setup Ozeki NG SMS Gateway will instruct the sierra modem through AT commands to send the SMS messages. If an SMS message arrives to the modem, Ozeki NG SMS Gateway will read the modem-s memory, it will downlad and delete the SMS messages. The Sierra SMS Modem can be also configured to be able to establish various other types of connections. The modem is equipped with an internal expansion socket (IES) interface which allows to developers to further expand the hardware's capabilities. One can easily add additional connectivity features (examples: GSN, Bluetooth, Zigbee, WiFi and more) thus one also can populate with an expansion card from Sierra (3 popular Sierra expansion cards: IO expansion, GPS expansion, Bluetooth expansion). You can also build an expension card one of your own. The Sierra SMS modemcombines the benefits of ease of use, superior quality and reliable supply, all at a very competitive price and without compromising Ozeki NG SMS Gateway's quality. Therefore this modem is perfect for establishing a professional SMS service. 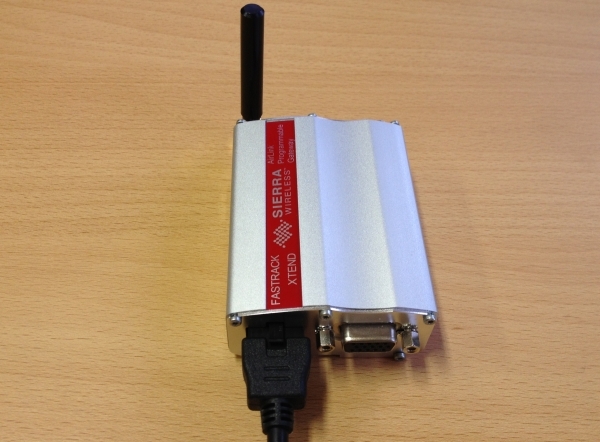 If you are planning to send fewer the 15 000 SMS/day Sierra SMS modems are the perfect choice with Ozeki SMS products. Note that if you need more messages, you will either have to use more then one Sierra SMS modem, or you should switch to IP SMS connectivity, such as SMPP SMS (which is also supported by Ozeki NG SMS Gateway). In order to operate an SMS service a SIM card is needed from your mobile network operator. The SIM card will charge you for the messages sent. Note, that in many cases you may get a SIM card with very low SMS tariffs.